By Ian Gordon and Matt ConnollyAs more and more people have called for Washington's pro football team to change its name, some folks have argued that the only way to get owner Dan Snyder to listen is to go after his wallet. That's right: Boycott the team or, failing that, target its corporate sponsors. Coca-Cola: "As sponsors, we do not play a role in decisions regarding NFL trademarks. Your questions can be better addressed by the team and the NFL." FedEx: "We understand that there is a difference of opinion on this issue. 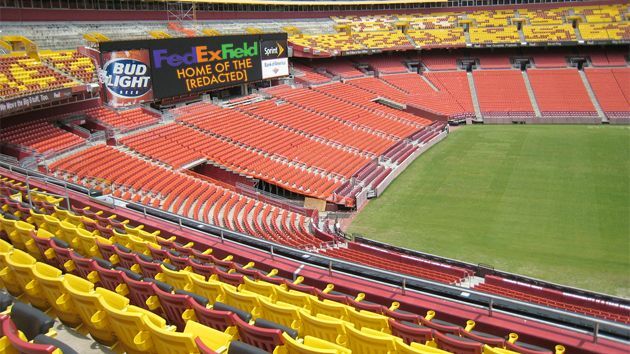 Nevertheless, we believe that our sponsorship of FedEx Field continues to be in the best interests of FedEx and its stockholders. "Comment: I've talked about the efficacy of targeting advertisers before. Hitting a business like the Redskins in the pocketbook is always a good idea. If their sponsors aren't worried now, let's give them something to worry about.